Situated in a rural location, this bed & breakfast is 0.6 mi (1 km) from Abbazia di Sant'Antimo and within 20 mi (32 km) of Chapel of our Lady of Vitaleta and Palazzo Piccolomini. Val di Merse and Piazza Pio II are also within 20 mi (32 km). 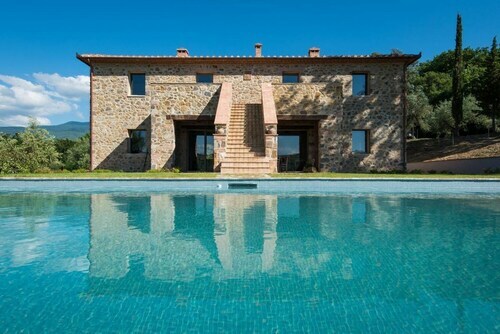 Situated in Montalcino, this villa is 0.6 mi (1 km) from Abbazia di Sant'Antimo and within 6 mi (10 km) of Museum of Brunello and Fortress of Montalcino. Civic and Diocesan Museum of Sacred Art of Montalcino and Poggio Antico are also within 9 mi (15 km). 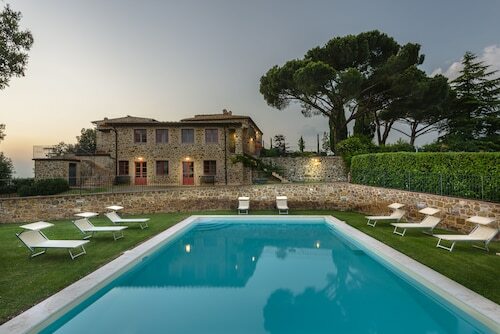 Situated by the ocean, this historic vacation home is 0.7 mi (1.1 km) from Abbazia di Sant'Antimo and within 6 mi (10 km) of Museum of Brunello and Fortress of Montalcino. Civic and Diocesan Museum of Sacred Art of Montalcino and Poggio Antico are also within 9 mi (15 km). Situated in a rural location, this property is 2 mi (3.2 km) from Abbazia di Sant'Antimo and within 20 mi (32 km) of Baths of San Filippo and Palazzo Piccolomini. Pienza Cathedral and Chapel of our Lady of Vitaleta are also within 20 mi (32 km). Situated in Montalcino, this farm stay is 1.9 mi (3.1 km) from Abbazia di Sant'Antimo and 2.8 mi (4.6 km) from Museum of Brunello. Poggio Antico and Fortress of Montalcino are also within 6 mi (10 km). 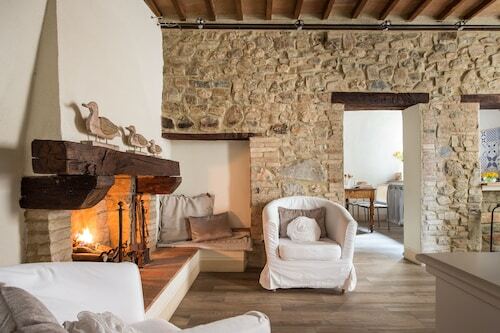 Situated in a rural location, this romantic vacation home is 2.5 mi (4.1 km) from Abbazia di Sant'Antimo and within 9 mi (15 km) of Museum of Brunello and Fortress of Montalcino. Civic and Diocesan Museum of Sacred Art of Montalcino and Garden of Daniel Spoerri are also within 9 mi (15 km). 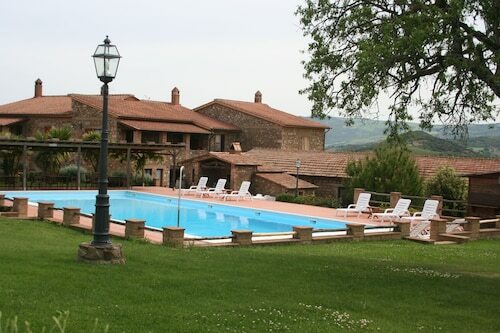 Situated in a provincial park, this farm stay is 1.8 mi (2.8 km) from Fortress of Montalcino and within 9 mi (15 km) of Museum of Brunello and Abbazia di Sant'Antimo. Horti Leonini and Chapel of our Lady of Vitaleta are also within 16 mi (25 km). 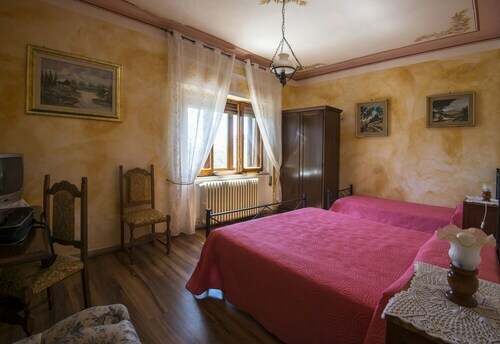 Situated in a rural location, this luxury farm stay is within 12 mi (20 km) of House Museum of Monticello Amiata, Mount Amiata Fauna Park, and Castle Arcidosso. Parco Piscine Capenti Outdoor Pool is 11.6 mi (18.7 km) away. Abbazia di Sant'Antimo is an excellent place to see with the whole family. We advise that bring your camera along too! You can find it in Siena. 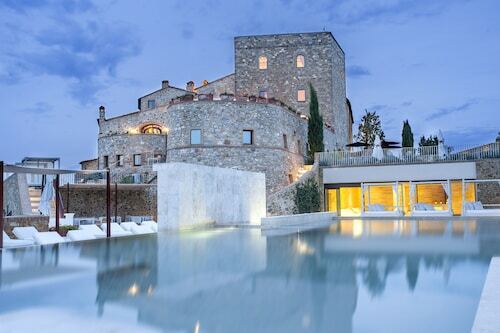 If you don't plan to spend a huge amount of time commuting from your hotel, reserve a room at the Castello di Velona SPA Resort & Winery, only 2 miles (3 kilometers) away from Abbazia di Sant'Antimo. You don't have to journey too far to discover an inexpensive place to lay your head. There are a small number of places a short drive away. 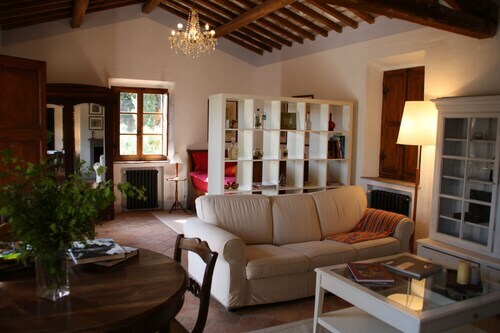 Some examples are the Agriturismo Le Ragnaie and the Residenza Palazzo Saloni. An excellent option is the Palazzo del Capitano Wellness e Relais, 6 miles (10 kilometers) away. It is the one first-class choice in the vicinity. Not many things rival kicking back with a delicious dish after a day of exploring. You'll discover one of the finest places to do that is Vasco Sassetti S.R.L. (Via della Capanna, 2, Castelnuovo dell'Abate), an easy walk from Abbazia di Sant'Antimo. Just 0.4 miles (0.6 kilometers) from Abbazia di Sant'Antimo is Vin Canto (Via Bassomondo, 8, Castelnuovo dell'Abate), a cheerful venue to grab a drink at the end of the day. If you're hoping to learn something new, Museum of Brunello could be worth checking out. Your group will savor a spicy and sweet journey through the regional flavors featured at Poggio Antico. 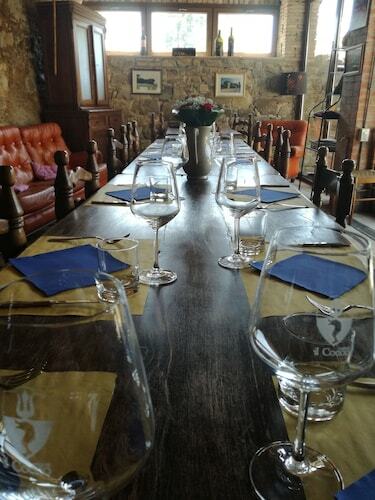 Enjoy the notes of this region at Tenuta Greppo Franco Biondi Santi. 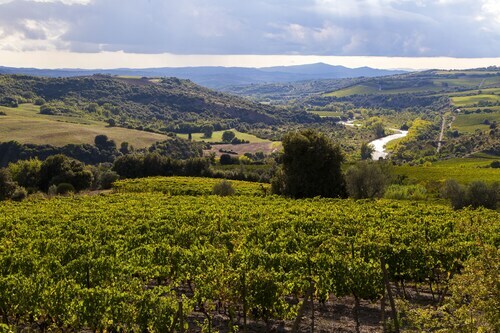 Plan a tour of Fortress of Montalcino and delve into past events that formed the local history. In charge of the presentation and preservation of prominent artworks, Civic and Diocesan Museum of Sacred Art of Montalcino is a wonderful place for the art aficionado. How Much is a Hotel Room in Abbazia di Sant'Antimo? 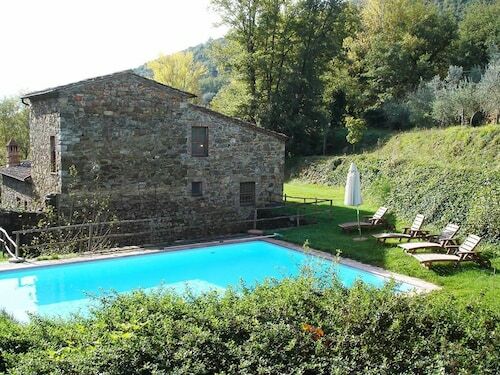 Hotels in Abbazia di Sant'Antimo start at $73 per night. Prices and availability subject to change. Additional terms may apply.